A lazy Sunday morning is not a regular feature of my week, but today was all that could be hoped for in that regard. After a gym workout I joined my husband and daughter at a local cafe for breakfast before discovering a treasure trove of new season fruits and vegetables at the Greengrocer’s Pantry next door. There was so much locally sourced produce it made my heart sing. I bought avocados and radishes, fresh Australian garlic and beetroots, and sweet strawberries, then came home to spend the rest of my morning cooking. We harvested rhubarb from the garden and a friend dropped by with a bag of cumquats to make marmalade. Domestic bliss for me, despite the excessive washing up! 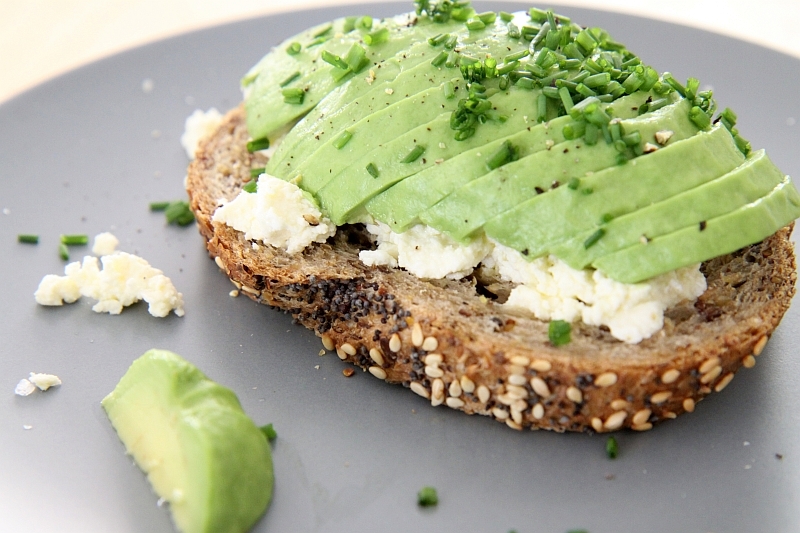 I made this avocado with soft feta on grainy bread for a mid-morning snack. 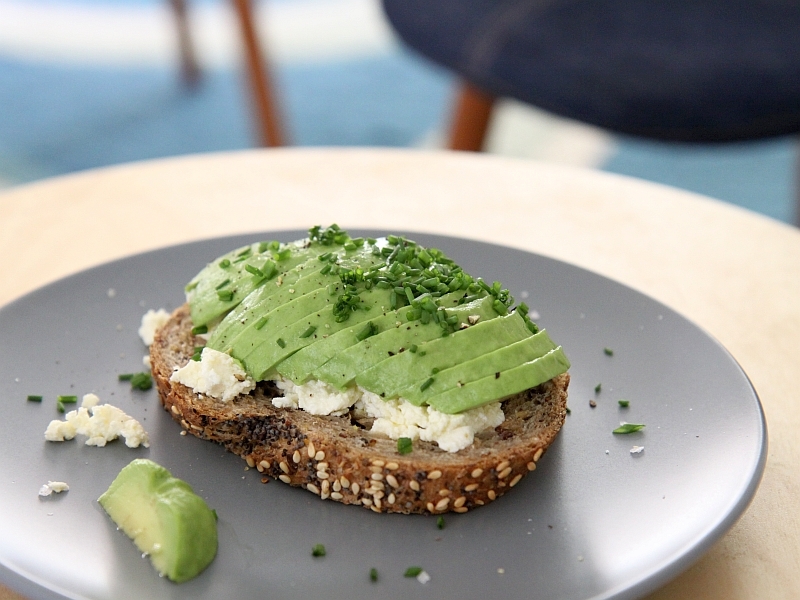 The avocado was creamy and soft; the feta sharp and salty; and the bread chewy and delicious. Peel and de-seed the avocado. Slice thinly and squeeze over the lemon juice. Spread the cheese on the bread and top with the avocado. Sprinkle over the chives and season to taste with salt and pepper. Eat right away, relishing each mouthful. 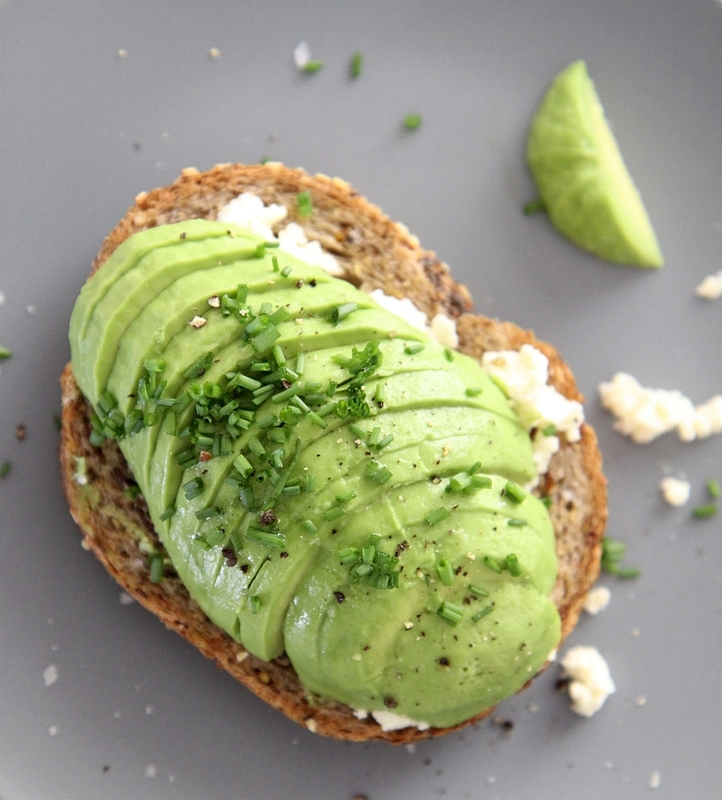 Avocado toasts are delicious I love mine with Havarti I’ll have to spread some chèvre next time, and your photos are gorgeous! No matter what you do with it, avocado is simply the best, period. Those photos are positively luscious.